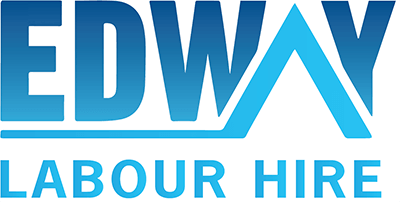 Edway Labour Hire was founded to meet the growing need for reliable, short or long term labour services. We have over 40 years of combined experience in industries such as construction, demolition, civil engineering and manufacturing. So unlike other labour hire companies in Sydney and Melbourne, we absolutely understand how labour hire solutions contribute to business success. Although most labour hire agencies ignore small-scale projects, Edway Labour Hire undertakes all projects no matter how large, small or involved. Our agency prides itself in scrutinising and hiring workers that best fit the job profile as specified by our clients. 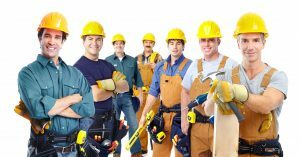 Even on as little as 1 hours notice, we can provide labour force solutions at a fixed price on site in Sydney. Our labour hire service also specialises in the technical and legal aspects of labour hire ensuring that both our clients and workers interests are looked after and always meet legal requirements. We take care of our employees’ Workers Compensation Insurance and Public Liability Insurance and we make sure that our clients/worksites comply with industry standards such as WHS/OHS requirements. We know that by strictly adhering to legal labour policies and practices, we will avoid costly accidents and unwanted lawsuits and maintain a smooth business. We endeavour to supply our Sydney and Melbourne clients with dedicated and qualified personnel who hold a White Card. Our employees are not only highly trained in safe work practices, they are also provided with personal protective equipment (PPE). Hard hats, safety glasses, steel cap safety boots, long pants, and high visibility vests are just some protection gears we give to each employee before sending them to your construction site. This is our way of showing how much we value your trust, our reputation, and the well-being of our labourers. So call us on 1300 853 104 or use our easy order staff online form below for all your staffing needs so you can focus on other crucial aspects of your business.